The construction and development of a submersible calls for expertise in all aspects of engineering. A submersible operates in a very hostile environment under extreme pressure. The vehicle has to carry all the necessary equipment and consumables to maintain the well-being of the occupants for the planned mission time. The submersible is more akin to a manned space vehicle than to a ship, land vehicle or aircraft. 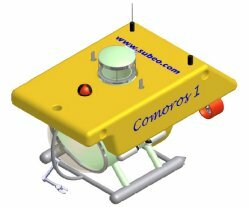 Through its dedicated approach to uncompromising design and the employment of recognized specialists in life support engineering, battery technology, underwater navigation/communication systems, electronic control systems and propulsion, SUBEO has the expertise and experience to construct submersibles to the requirements of its customers. The latest computer-aided design techniques are employed in the design process, enabling the vehicle to be ‘built’ in the computer and tailored to the customer’s requirements. 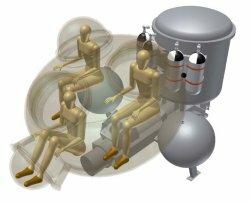 Further details of the state-of-the-art systems incorporated in SUBEO’s submersibles are available from the DOWNLOAD page. For further specific information with regard to technical or financial aspects of our products please use our contact page.